Login and proceed to checkout for special DISCOUNT! 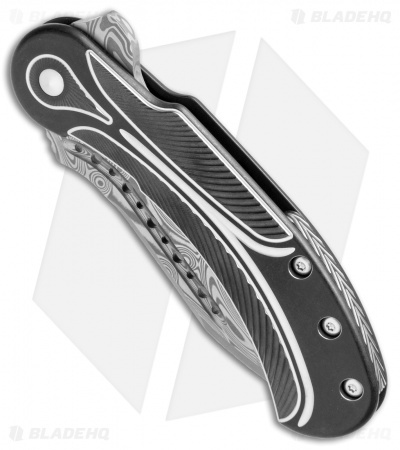 This model has a Draupner pattern Damasteel blade. The Field Marshall flipper is the latest model in the Steelcraft series to offer custom level quality at a production price. 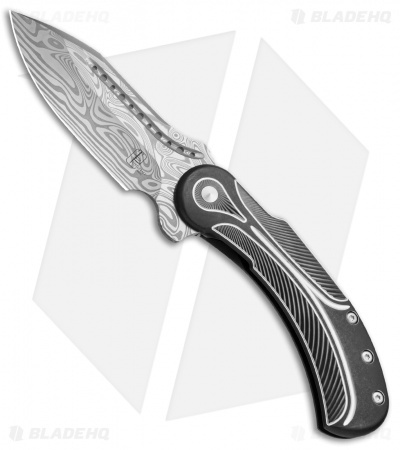 It features all of the flashy details Begg is known for, along with an IKBS bearing system for smooth and fast blade deployment. The tumbled titanium handle scales are anodized black with silver accents and satin hardware. 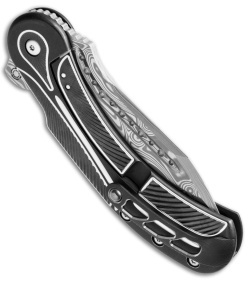 A skeletonized titanium pocketclip with a ceramic ball bearing finishes off this fine semi-custom design. IKBS pivot bearing system provides ultra fast and smooth blade deployment with an integral blade flipper. Titanium frame lock handle with a replaceable lock bar for over-travel protection. Ceramic ball bearing Ti pocket clip provides comfortable and secure EDC without tearing up your pockets.